Comments: Broadleaf deciduous tree native to east central Canada and the Midwest of the US. 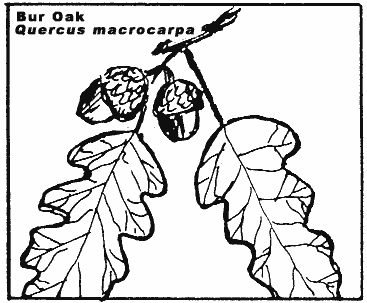 Bur Oak is in the white oak family with blunt lobes. This species has rather large acorns with heavily furred boots. 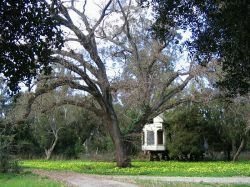 Trees to 40 or 50 feet in our area, larger in its native range.